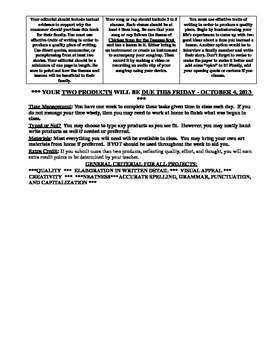 This assessment is based off of Georgia's Common Core Standards and recommended Frameworks for the 1st 9 weeks. 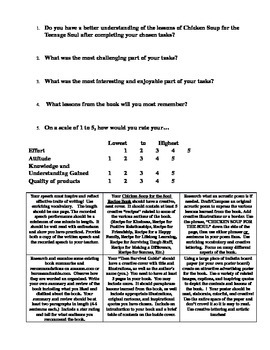 This is a final assessment used to show students knowledge and understanding after spending eight weeks on the novel "Chicken Soup for the Teenage Soul: Stories of Love, Life, and Learning." 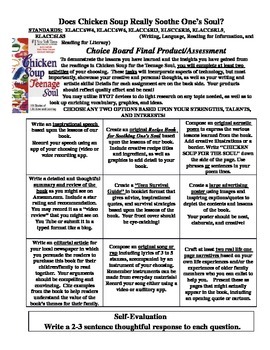 The class had read 8 stories out of different sections of the book.This choice board was used to show their knowledge and understanding of the lessons in the book.